This little breakfast treat reminds me of my Grandma. I remember her serving Kringle, although I didn’t know it at the time, she always bought hers from the grocery store. That was back in Illinois. Which is close to Wisconsin. Which is about the extent of my geography knowledge. But, Wisconsin is where these are famous, or so I’m told. Last summer, before a trip to visit my parents, my dad requested I make something almond. I immediately decided I wanted to try out a Kringle recipe. After searching dozens of recipes, I meshed them all together (by adding and removing things, of course) and this is what I came up with! A perfect, flaky Kringle. One that doesn’t take hours to slave over either. Trust me when I tell you this is good. Trust me when I tell you this is low in calories. Okay, just seeing if you are paying attention or if you are mesmerized by this delicious pastry! This is NOT low calorie, so I advise you to share, with a friend, or family, or the dog, or eat it alone (over several days time)! Enjoy! Mix crust ingredients together into a ball. Seperate into two small balls. On two cookie sheets, pat into two large horseshoes, about 2-3 inches wide (my baking sheet is 12inch). Dough will be very sticky. You will think you are doing something wrong, just trust me, it's supposed to be gooey! In small saucepan, heat 1 cup water and ½ cup butter to boiling. Remove from heat, beat in 1 cup flour. Add eggs, one at a time. Add almond. This will be paste-ish. It's ok. Spread on top of crust layer. Bake for 50-55 minutes in a 350 degree oven. Turn off oven, open door, prick sides of kringle and leave for 5-10 minutes. While cooling in oven, prepare frosting by beating butter with powdered sugar, almond and milk. Continue to beat until smooth. Frost kringles while warm and serve. Meaghan, I hope you try it, so worth it. 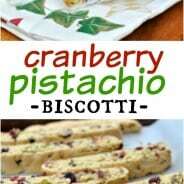 And surprisingly, it doesn’t need the almond paste, although you could certainly add it! Or toasted almonds on top too…oh the possibilities! Aimee, It sounds so good! I am adding it to my “to make file”. As always thanks for linking up! I followed you from the foodie blog roll and I’d love to guide Foodista readers to your site. 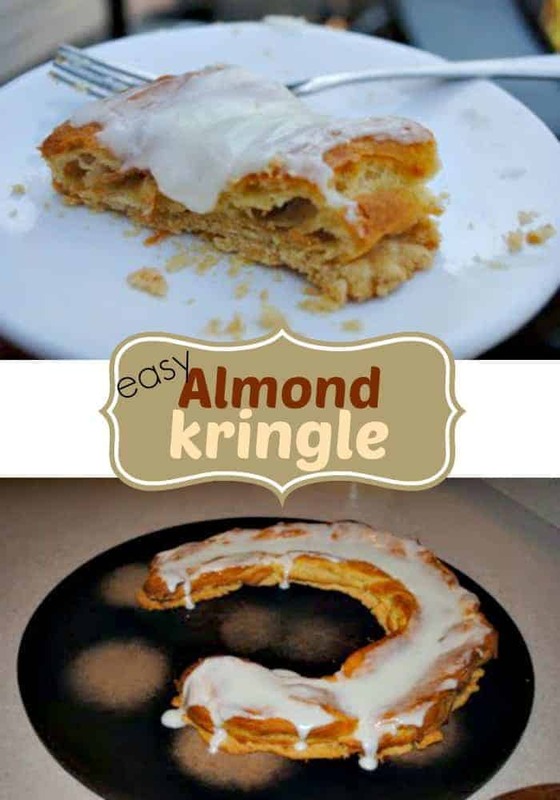 I hope you could add this kringle widget at the end of this post so we could add you in our list of food bloggers who blogged about kringle recipes,Thanks! 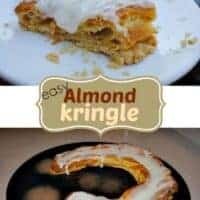 Your Almond Kringle would be a great hit here at The Cottage. We would just love it. Thank you so much for sharing with Full Plate Thursday! @ Miz Helen- I’m sure you will love it. Plus it makes TWO- does it get any better than that??? 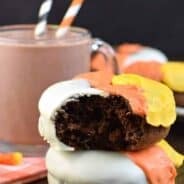 I am just going to ignore the last part you said about it NOT being low-cal, so I can keep it all to myself and eat as much as I want 😉 Thanks for linking up to Fat Camp Friday this week! See you next Friday! This looks so flaky and delicious, Aimee! My kind of dessert! 🙂 Thanks for linking up to Melt in Your Mouth Monday! Looks very similar to a recipe my mom has, hers is called Danish Puff and is in 2 long “logs” for lack of a better word. Delicious! I’ll definitely have to try this one! My mother also had this Danish Puff recipe – same ingredients, except for the frosting and not rolled like a log. Instead of the log, take 2 balls of this recipe and press flat on a baking sheet. Does not need to have the sheet buttered. I always use foil. It has to be pressed flat and may seem like there isn’t enough, but there is. For the frosting melt a little bit of butter and milk. Add powdered sugar and also add cherry juice. Keep adding the sugar and juice until you have the right consistency, depending on your choice. Then frost and decorate with cut up cherries and almonds. This has always been a big hit with everyone. We would always beg our mother to save us some for breakfast the next morning after having friends over for cards. So I finally decided to learn how to bake this myself. is this recipe a joke, no way this can work, made too much topping for 2 small balls of dough and the topping is running off of the dough. i only used half of the topping i made. please advise what is wrong. It will work. Trust me! The topping is very paste-ish. It will bake up nicely. If you look at the photo above, I made TWO of those rings with one recipe. you can do this! Or try spreading the balls out flat – very flat – about 2″ or less. If spread out too much you won’t have enough topping, will come out too flat. I usually judge the size by the cookie sheet. This should come out as a crust and should have enough topping for both pieces. The topping won’t overflow. This recipe reminds me of cream puffs – top crust with moist inside. is the recipe shown correvt?? it seems something is missing, mayebe a top crust?? When it bakes it should form a crust. My mother had this same recipe, Danish Puff, as was noted by Sarah. This was SO easy to make and tasted great! I added a chocolate mint topping. http://imgur.com/IObPmrg Like another poster, I did end up with way more topping than crust. I think it might be best to spread the crust out in a large, thin layer before adding the topping. But either way, it was a hit. Thank you! I’ve never made anything like this before, so I thought the recipe seemed odd too, but I went with it anyway, and these turned out SO delicious. I made the dough into 4 “logs” about 3″x6″. I had a little extra filling, but I saved it and am going to make a little more of the crust later this evening. I added sliced almonds and a sprinkle of red sugar (they are Christmas gifts). They are so pretty and, more importantly, delicious! For those who are skeptical, the egg mixture bakes up nice and thick and the frosting provides the sweetness. Just make them, you won’t regret it! Thanks for the recipe! Thank you!!! It’s such a special treat, I agree! I’m glad you tried it and came back to report your feedback. Merry Christmas!! It makes two kringles (two horseshoes as I called them). The paste/filling is the top. 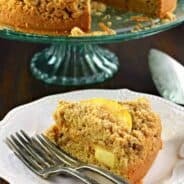 I tried this recipe and I had some issues. There details missing that made it hard to accurately recreate the Kringle. Was the butter for the crust melted? How thick should the crust be? How thick should the layer of paste be? When you say 50-55 minutes, can you tell us what we’re looking for? I also had issues with the paste not sticking to the crust. Any ideas what would have caused that?